The Birmingham Post today launches one of the most important campaigns in its history – to urge the government to acknowledge that the UK automotive industry not only needs, but deserves its financial support. At the centre of the campaign is Jaguar Land Rover, the Indian-owned inheritor of the last of the truly great British car brands, and the vibrant centrepiece of an industry that powers the economy of not just the West Midlands, but the whole of the UK. Unlike its predecessors – and some of its overseas cousins – this is not an industry facing a looming disaster of its own making. The mistakes and inefficiencies of the past are now firmly behind it, and the car sector is now responsible for considerable parts of all the UK’s research and development of high-value, sustainable technologies. But that is threatened because of the collapse of global credit markets. All international companies such as JLR depend on access to credit simply to oil the wheels of business – and that essential ingredient has swiftly and dangerously been taken away. Owner Tata is a successful international conglomerate, but no company has limitless cash flow. Without access to credit, JLR and others in the automotive industry will simply run out of the fuel they need to power their operations. In the worst case, this could lead to the demise of significant players in the sector – and certainly to the loss of thousands of jobs. But even the best case scenario has dire consequences for an industry that stands or falls on a pipeline of new product development that can take years to come to fruition. A cash-strapped JLR would be forced to rein in its spending on research and development, and sit and wait for the recession to blow over. However long that may be, the company will inevitably fall years behind the developments of those international competitors who have already been helped by their governments. The last UK car maker that fell behind the global market in terms of product development was MG Rover, a company too far gone to be helped by the time the government came along with an aid package. But this is emphatically not a bail-out. JLR simply needs its lines of credit to be replaced by the lender of last resort: HM Government. 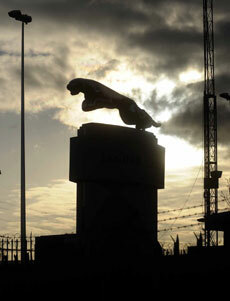 JLR is not asking for billions of pounds to be sunk into its coffers, never to be seen again. It needs loans, or loan guarantees of the type that until recently would be labelled ‘routine’, and it will repay them at full commercial rates within 18 months. And neither is this a deal that would set a dangerous precedent, as JLR and its supply chain are almost wholly contained within the UK, unlike other manufacturers, whose activities here are outposts of a global operation. Their domestic R&D powerhouses are already getting the support they need. So today, we urge the government to act to help our car industry compete on a level playing field in the global market. The scale of support for this is already overwhelming, as shown on our inside pages. We also are joined by our sister newspaper, the Birmingham Mail, and by titles serving regions that share our automotive heritage. The Coventry Telegraph, the Liverpool Echo and the Liverpool Daily Post all carry the same message today. That message is for you, the reader, to show your support by making your views known on our websites, and by signing the e-petition on the Downing Street website here. Mr Darling, businesses creating the value that fuels the real economy should not be left to whither while bailed-out banks sit on public money. That money was put there by you for the express purpose of getting the economy moving again. Mr Chancellor, please use it. We have suffered too much political indifference over the years, we cannot afford to loose even more of our motor industry. Nothings great anymore about British society, we don’t make much we have no industry. To loose yet another piece of heritage will not only be a current great loss, but even for the future generations. What??? you want more tax payers money??? How much has the car industry in the Midlands consumed in the past few decades????? No more – be profitable or good bye. Not of your own making??? Excuse me?? If you had built cars properly, that were reliable – then maybe you could have sold them at enough profit to sustain yourself – wouldn’t have needed BL – Government – BMW- Ford – Tata etc…why can you not be competent enough to stand on your own 2 feet – why? Why is it the taxpayers responsibility to bail out failure?? Competent business survives – incompetent ones fail. Paul, I think you need to check a few facts here mate. Jaguar has consistantly topped or been in the top ten of reliability and customer satisfaction surveys for the past ten years. If they’re unreliable and making poor cars then the whole industry is in trouble. I agree that a company should remain profitable itself rather than relying on handouts but industry, especially the car industry, takes time to change. This time last year the outlook was extremely good for the makers of premium brand cars and Jaguar in particular was making some of the best. Unfortunately the market has changed extremely rapidly and at a speed that very few companies who have premium products that were so popular could keep up with. In this case is it not better for the nation to look after its own interests and support its indutries through a tough time? Letting large businesses with huge supply chains go bankrupt is not exactly a good way to avoid or drag yourself out of a recession. Thousands more unemployed workers means thousands more people on a tighter budget, leading to more shops and businesses struggling. People out of work are not that likely to head out to the shops and spend, spend, spend, are they? During BMW’s custody Land Rover have dropped the traditional practices and since introduction of the L322 Range Rover it is still not only the most stylish current 4×4 but also with state-of-the art technology. Land Rover has been completly transformed under BMW&Ford and now with backing from Tata seem ready for the new challenges ahead. One of the most desirable cars to which the same engine is fitted is the new Jaguar XF. More than anything, it is this car that convinces most of the doubters that Jaguar is fit and alive. JLR are not old hat and should be granted a loan to keep the momentum and for R&D. With sales up on the back of the XF, things started to show some promise – I just hope they have the momentum to carry on going..
Why doesn’t Tata sell the Rover brand to the chinese?